2019 Miami Open - The underhand serve? Acceptable in the pro game? Following on from the Indian Wells competition in California, the ATP and WTA tours have traveled to Miami for the 2019 Miami Open. 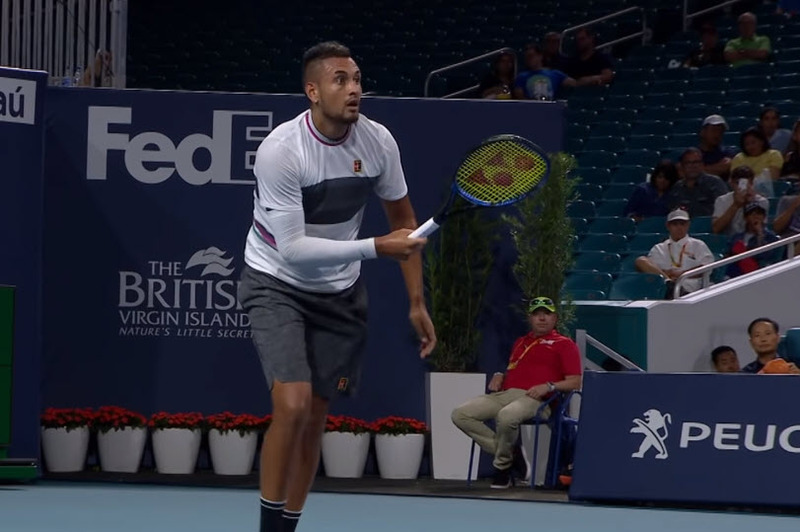 The competition is currently in progress with lots of fantastic matches already completed, however one of the biggest stories has been the underhand serve of Nick Kyrgios. During his third round match against Dusan Lajovic of Serbia, Nick served underhand twice to win points against his unsuspecting opponent. The action is not an illegal move, but is almost non-existent in competitive tennis and has been met with fiery reactions both in favor of the move and staunchly against the players' decision. Judy Murray, a prominent figure in British tennis and mother to Andy and Jamie Murray, believes it is a great thing and is surprised that more players don’t do it themselves. Click here to see her twitter post. Many believe his actions bring harm to the sport, but others argue that his playing style brings more excitement and non-traditional tennis eyes to tennis, making stories mainstream news. Read more about the story in this link from a Reuter’s article. What do you think? Should this be a part of the game? Click here to see one of the underarm serves.